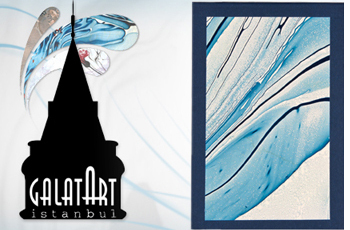 Marbling with "Masallah" Calligraphy is designed and done by artist Nesime Kantar. Two different techniques was used in the art piece. 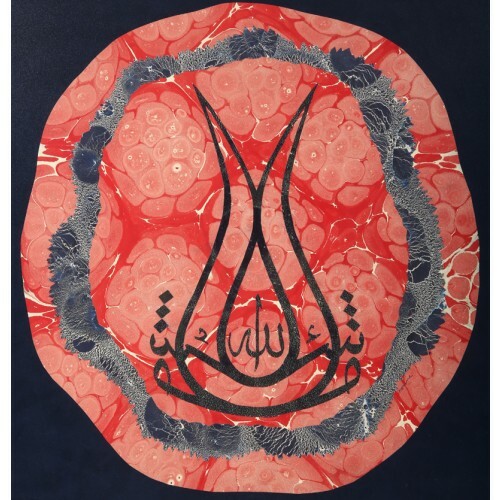 Over the red surface marbling, marbling with sandblasting technique was cut in the form of "Masallah" and attached. 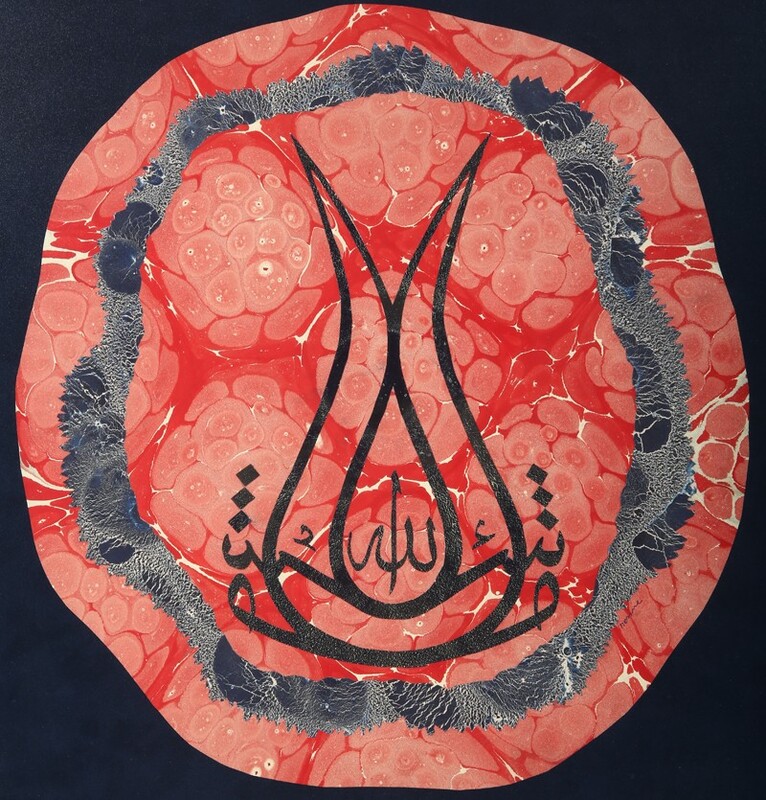 "Masallah" is an Arabic phrase that expresses appreciation, joy, praise or thankfulness for an event or person that was just mentioned. The literal English translation is "God has willed it" .